(EASTLAKE, OH) - The Cleveland Indians named their staffs today for all the teams in their minor league system. Luke Carlin will return for his second season as the manager of the Lake County Captains. Carlin will be joined by former Captain’s players Jordan Smith who will serve as the team’s bench coach and Owen Dew who will serve as the club’s pitching coach. Jason Esposito will serve as the Captains hitting coach. Carlin, in his first season as Lake County’s manager the team finished in seventh place (eight team division) in the first half and sixth place in the second half in the Midwest League Eastern Division. The team finished 60-79 which was the third worst record in the league. The Captains skipper was a career minor leaguer with a few of cups of coffee in the big leagues in four different seasons for three different teams, the San Diego Padres, Arizona Diamondback and Indians. Carlin was a tenth-round draft pick by the Detroit Tigers in 2002 as a catcher. Carlin played part or all of fourteen minor league seasons from 2002 to 2015. Smith retired from playing after the 2018 season. He spent most of his career in the Indians system after being drafted in the ninth round as an outfielder in 2011. 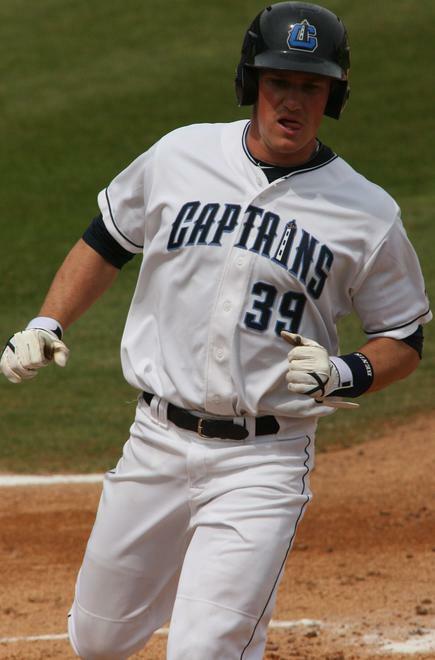 Smith returns to Lake County after spending the 2012 season in the Captains outfield. In his one season in a Captains uniform he hit for a nice .316 average, 9 HR’s and a .820 OPS. Smith was a fan favorite and nicknamed the “Milkman” while he was in Lake County due to his love of dairy product. He is a graduate of Willmar High School in Willmar, Minnesota and attended college and played baseball at St. cloud St. University in Minnesota. Dew was a member of the Captains 2010 Championship team. During the 2010 season Dew began the season at Mahoning Valley and was called up to Lake County for the stretch run. He served as a starting pitcher in 2010 at Mahoning Valley making 9 starts. With lake County that same season he made 7 relief appearances helping the Captains clinch their only title to date. In the seven appearances he had one win and two losses and a 4.50 ERA, striking out 13 and issuing 4 base on balls and 15 hits in 16 innings of work. He also spent the 2011 season with Lake County, but an elbow injury in 2012 ended his career and the 2013 season was his last. All four seasons were spent in the Indians organization. In 2016 Dew returned to the Indians organization and served as the pitching coach for Mahoning Valley and served as the Indians AZL pitching coach during the 2018 season. Esposito is in his second season with the Indians organization. He spent 2018 as the Tribe’s hitting coach in the AZL. He was a second-round draft pick in 2011 for the Baltimore Orioles as a third baseman. Lake County Captains bench coach Jordan Smith circa 2012.